It won't come as any surprise to say that I increasingly spend a lot of time reading online. From reading articles online, to managing LMs and reading Word and pdf files, I sometimes wished that I could circle or underline what I found most interesting. If you ever have that need, there are two ways to do it when reading online. 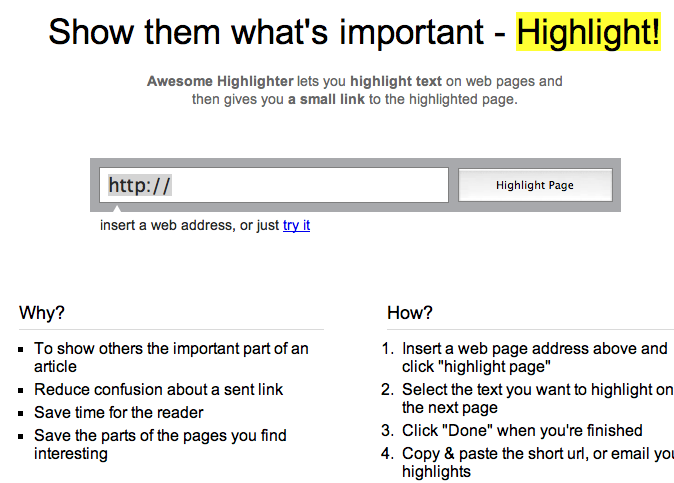 Highlighter is free and can be added to your blog. Nicky Hockly has a great blog post on how to use Highlghter. After reading, open an account and follow her challenge. MarkUp is another option to highlight when you are reading. MarkUp is also free and the bookmarklet can be added to your toolbar by drag and drop. Whenever you want to make a note, you just need to click on the booklet. You can use an arrow, a circle, box or line as well as choose your preferred colour. There is also a deleting option if you change your mind. With MarkUp you can then publish the page you marked up and share the URL without the other person having to go back to the original page. Of interest too is crocodoc, which allows you to make notes, highlight and embed where you need to. It's particularly useful for draft work. Do you use either of these online highlighters? Do you have any other to suggest? Ever felt curious? Curiosity (by the Discovery Channel) is a treat for whoever has questions on their mind. 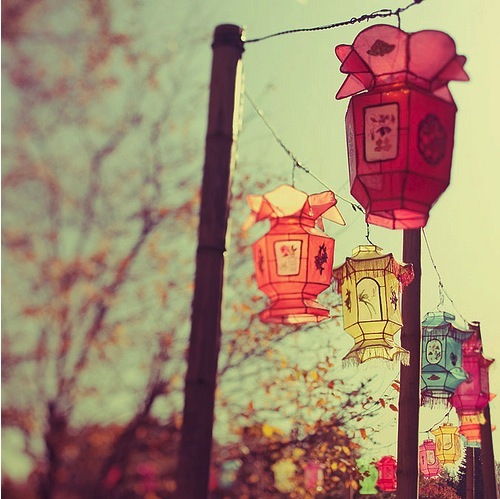 You can share what you feel curious about, find out what others feel about and find out explanations. Topics are endless, ranging from Science & Society to Oceanography. It's easy to navigate and for those who prefer their explanations to be given in multimedia, there are also videos accompanying many of the answers. Students can use Curiosity for projects, to include in their reference lists and even to discuss validity of sources and presentation of information. 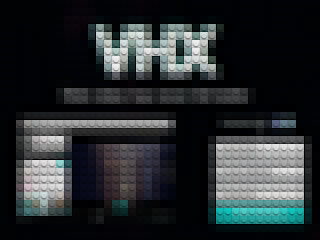 VHX is where you can find a selection of videos. You can track videos, share with friends, and even queue to watch when it suits you. 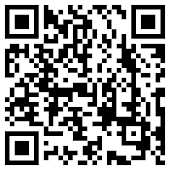 Begin by signing up (or sign in with your FB or Twitter account) and then explore at your leisure. What I did find was that it showed me mostly videos related to learning and education so I am not sure what videos may be brought to your screen. Wiffiti publishes real time messages to a screen which is you can access online or on your mobile and probably the most curious tool I have recently come across. If you are not sure how to begin, watch the help video here and you'll be on your way! Because this post is about curiosities, I'd like to mention questionaut, a curious learning game by the BBC. Learners are enticed to answer questions before going to the next stage (there are 8). Questions range from writing devices to how to read on the internet, providing an engaging way to revise for English, Maths and Science. 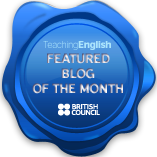 I am sure that many are familiar with David Mainwood's and Jamie Keddie's inspiring sites where they share their lessons for using videos and documentaries as teaching materials. David and Jamie have excellent lesson plans for different language learning levels and are a must to add to one's own lesson. Should you also like to add further references to your multimedia library, below you can find further documentaries and video clips - all curious, many useful for learners and teachers to use. 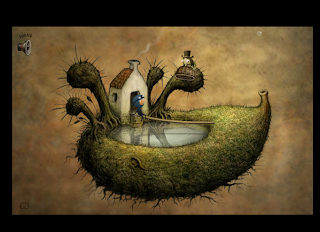 And as for curiosities, do you still remember curious fairy tales? You can find the complete website for Granny O'Grimm here. My academic year has come to an end and it is time for reflections and professional development. As I take the opportunity to do pd, reflect on the past teaching year and what I would like to do better in the next semester, I also ask what our role is today as educators in this fast paced changing world. Like many others, I don't know what learners will be required to do in the year 2021 and even less in 2031. I don't know what the world will be like then nor what challenges todays learners will have to deal with. I may have notions and beliefs about learning but cannot predict the future of job markets. I do, however, have certainties of what I do today when I see my students succeed, when their confidence as learners blossoms throughout the semester. I have certainties when I see the student who did not have faith in themself achieve success - not only in an exam but in really carrying out tasks with ease and confidence. Seeing students' success makes me certain that all the hours I spend planning activities, plotting lessons , marking, doing pd to keep up with teaching approaches and inspiration, are all worth it. Yet if I had to say what I make, I could only say that I make each individual student be confident and proud of who they are. I help develop their learning abilities, building skills which they will need for their academic life. I motivate them to be life-long learners, adapting to change, to being global citizens, yet confident and proud of their own identity and culture. I challenge them to reflect critically, to do their best when they thought they could not achieve. I make them do and be engaged in their learning. I make them smile with every success they achieve. In the words of Maya Angelou, "I've learnt that people will forget what you said, people will forget what you did, but people will never forget how you made them feel. " It is part of what I make. I would like to thank @DianeRavitch and @iain2008 for having shared this video. Ever wanted to make magic? Despite all the wonderful games and interactive activities which we can find online, sometimes one just needs activities which are tailored for one's own classes and context. And that is exactly where these game making tools come in handy. 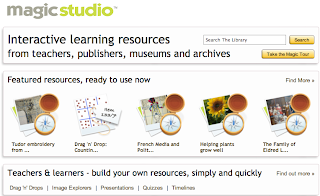 MagicStudio has interactive learning resources and also lets teachers create their own interactive activities. 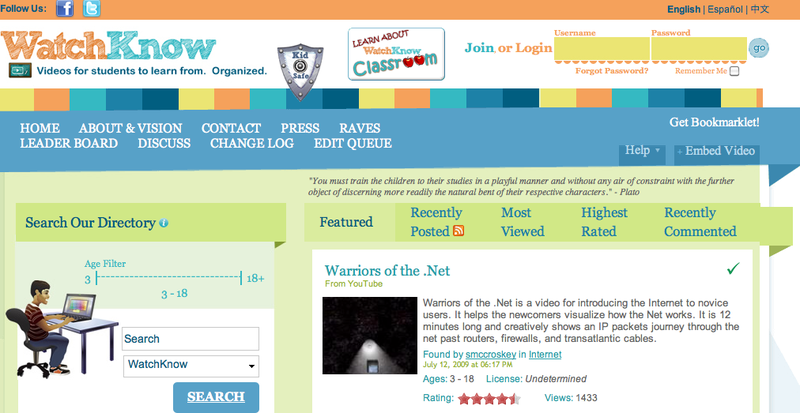 It also has a user-friendly library where you can search for resources already created and add your own. You can find video, images, audio and browse for different subjects. 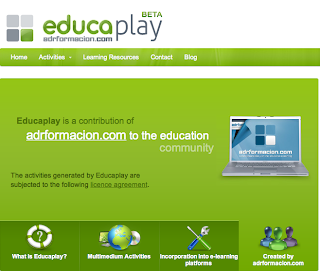 Educaplay is still in beta but really worth trying. Among other activities, you can create fill in the blanks activities, crosswords, do dictations, and matching games. There is also a learning resource where you can find examples of activities. Stencyl allows you to create games - even if you don't know how to use Adobe Flash or know how to write code. It's downloadable for Mac and Window and has a Stencylpeida page to guide you when you begin using Stencyl. Making magic is when students know that activities have been designed and tailored for them. It makes them feel unique, special and somewhere along the lines, they know that their teacher really cares about them and their learning. And most of all, that their teacher cares about their success and how to make the road to achievement fun and engaging. Have you already used any of these e-activity tools? Do you have a favourite you would like to share? Among the many online tools available to use for learning purposes or for one's own pleasure, everyone finds their own preferences. Sometimes, however, it's worthwhile looking into new tools and experimenting what they have to offer. With AuthorStream, you can share your slide presentations as well as share live in online conferences for free. 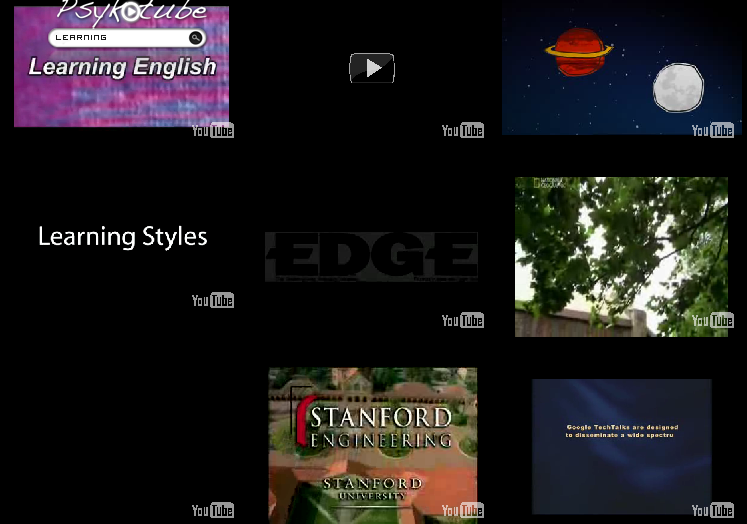 Besides, embedding, you can also share your presentation as a video by uploading it directly to YouTube. Screenr is another alternative which is great for sharing and teaching. Screenr is for creating screencasts and which you can share on FaceBook, Twitter or YouTube. You don't need to download - simple go to Screenr, click on launch and begin your screencast. Psykotube is an interesting search engine which searches for YouTube clips without presenting the searches in a list. Instead, you have one box where you type in what you are looking for and Psykotube will then show you a selection of videos as thumbnails. If you are interested in a particular video, you just need to click at the bottom right side for the original video clip to pop up in a new tab. I learn by trying out new ideas, new tools, new approaches. How do you learn? Summer always takes me back to a Peter Pan dimension - a time for dreaming, a time for catching up with friends, family, travelling and so much more that escapes my regular 24 hours of academic life. Yet, I have also learnt with time, that everyone needs a project to be involved with over long summers. Possible projects can be creating a digital book (for example, with StoryBird), creating & sharing music (lots of ideas here and here), putting together a digital photo album (here you can find tools as well as throughout this blog) or why not, making use of the tools for curating the web? I have already mentioned Scoop.it! and Pearltrees in this blog, and today I'd like to share some other tools which may also be of interest to select and share your favourite sites. 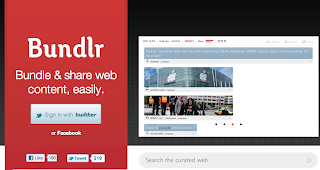 bundlr is a content curation tool, which allows you to collect - or bundle - content from around the web and easily share it. With paper.li you can create your own newspaper and publish it online with your favourite interests and web postings. With paper.li, your readers will never miss a beat as it is also accessible on iPhones, iPods and Android phones. Pinterest is a digital pinboard where you can organise and share what interests you, as well as perhaps letting yourself be inspired by what interests others. Begin by requesting an invite and then pin your interests to your board. 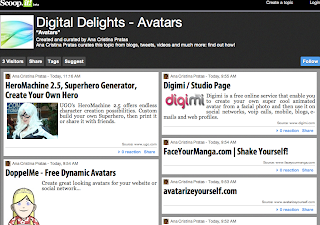 Storify (blogged here) lets you create mashups from social media. You choose what is important and relevant to you and the stories you feel are worth reading/sharing. 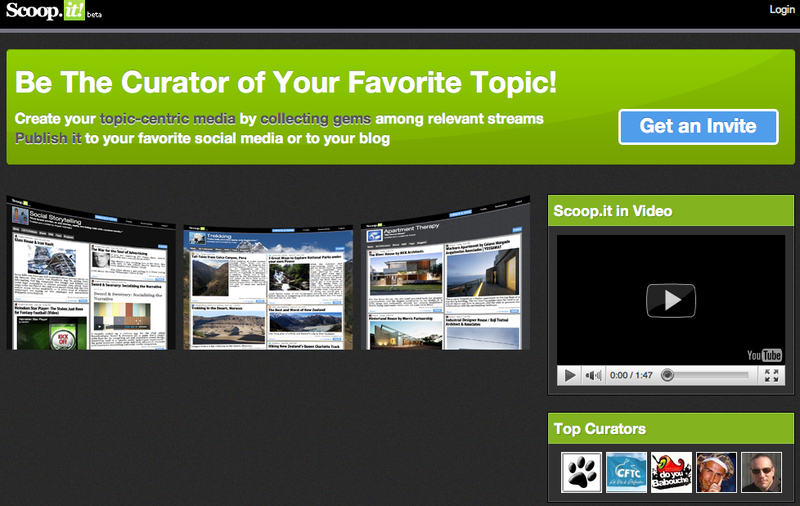 triberr offers another form of web curation. Watch the video below to find out more about triberr and how digital communities come together and blossom. Here below are further suggestions if you would like to read more about curating the web. Paper.li: Clever Curation or Spammy Automation? What curating tribe will you be joining? Summer holidays sometimes turn out to be busier than we had previously expected and time to watch all the movies we wanted just seems to vanish. If it is possible to curate and share our favourite sites and music, it is also possible to collect our favourite videos and watch them when it is more convenient. With squrl, you can bookmark your favourite videos, share them and even tweet them. If you can't watch them at that moment, you can collect them and watch later on your iPad, PC, phone or TV. When you join squrl, you also join a whole community of video collectors from whom you can learn about new videos, link, like, watch and collect for yourself. film festival: Humanity Explored offers documentaries which range from Education & Culture to Science and Social Development. All you need to do is click on "send invite" and you can log in either with your Facebook account or create your account with a current email address. The confirmation arrives quickly, allowing you log in and begin exploring this very rich site of movies and documentaries from all over the world. You can also rate what you watch, save for later and embed in your own site. Two other documentary sites you may want to look into are Joost and best.online.documentaries. Which do you prefer using for your teaching context - video clips, movies or documentaries? Every now and then there appears a tool which is both fun and useful. Pearltrees (which I have mentioned here). 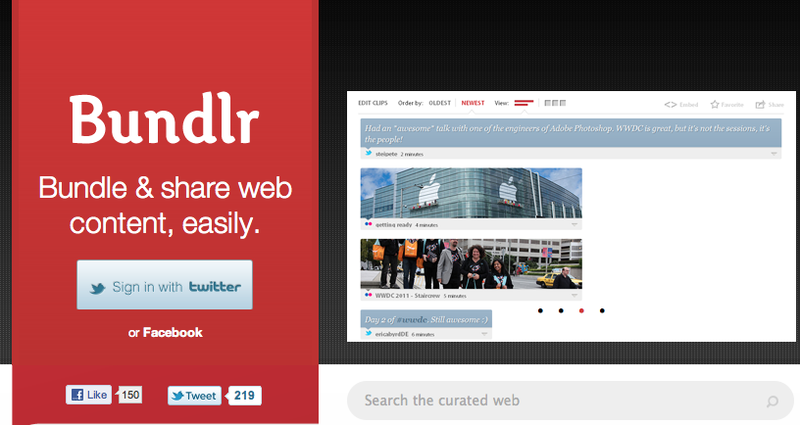 It's playfully visual and a great tool for sharing sites and information. Below is a snapshot of what one of my trees looks like. 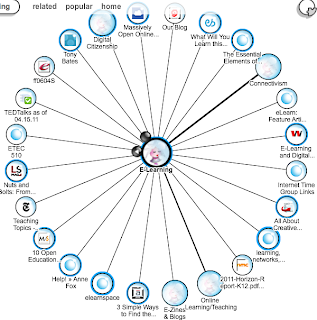 The circles with the avatar are the main sub-folders which relate to the "tree", while the others are related to the main tree, which in this case is E-Learning. Others can "pick" your pearls as easily as you can pick theirs, thus a sharing and learning process takes places by connecting pearls of interest. As your pearls are being "picked", you will receive a notice (via email and through PearlTrees) of who picked which pearl. This is of interest because you may then want to look at their pearls and see whether they have sites/links which may interest you. This connecting becomes a social curation which calmly shares pearls of interest and knowledge among participants. urthots (pronounced your thoughts) is similar in the sense that it curates your personal music and shares with others. It's both a music finder and social network, easy to use and great to share with friends. Besides your favourite music, you can share opinions and thoughts about movies, create your own page and you have options regarding how private or public you wish to go. 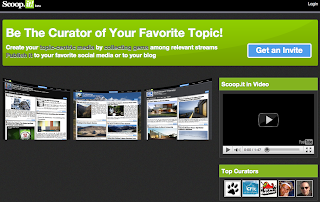 Curating your favourite websites takes another twist with Scoop.it! It is still be in beta (and so you need to sign up by getting an invite which will come promptly to your email address) but already there are some fantastic scoops to follow. After you have signed up, you begin by choosing your topic and then begin curating. You may select search engines to help you and if that is not quite sufficient for you, click on "post" and paste your favourite sites on your Scoop.it! page. Each page becomes as personal and individual as the person curating the sites. Simple and effective, it becomes a great way to share information, current trends and information with others. Below I include some examples of scoops, (including my own and one which I made for students to select their own avatar). What lights and waves can you share from your online experience? I would like to make a Scoop.it! collection, so please feel welcome to add your scoop on the web or your favourite Scoop.it! I've always been fascinated by maps. Old and new maps alike, they held my imagination captive. Whether it was an ancient map spurning my mind to life in the past or a current map, both held the promise of adventures - either in the imagination or adventures to come in life, new boundaries to explore and learn about. Maps change too as the world changes. Maps are not always territories, even if we find it easier to believe that they are. In our digital world, we also find maps. Newspaper map is where you can find newspapers both by language and country. You can add and correct as well as find historical newspapers. In the upper left hand corner you can search for a particular newspaper by language and place. aMap is an entirely different kind of map. aMap is short for argument map. 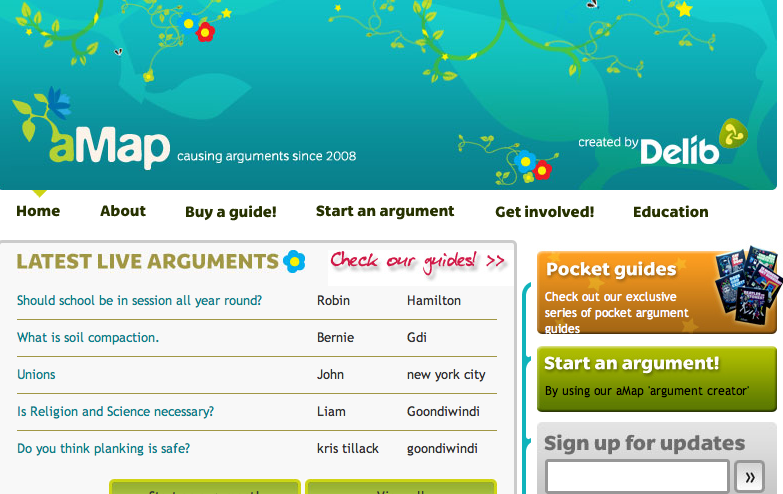 Students can use aMap for discussions, sharpening their critical thinking skills and practicing diplomatic ways of disagreeing with their opponents. Begin by raising a question and by stating your position. Then, let the arguments begin! 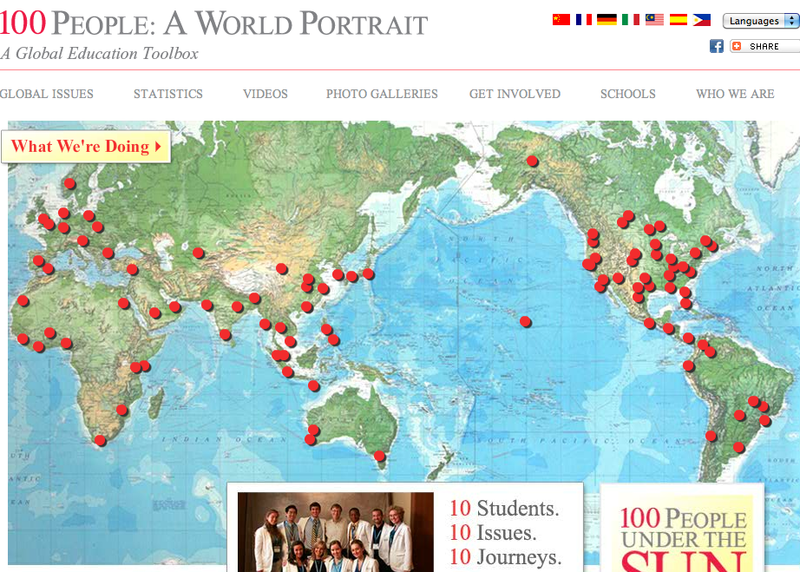 100 People: A World Portrait is yet another different kind of map. 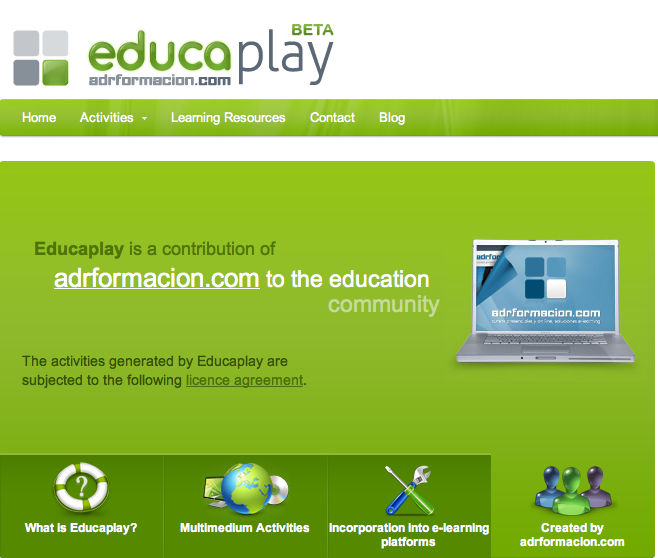 It's a great project for educators and students all around the world to join, explore and share with others. I'd like to thank David Deubelbeiss (@ddeubel) and EFL Classroom 2.0 for having pointed this project out. There is a wealth of information on global issues for both educators and learners. Having travelled through three different kinds of maps, how do you feel? WeFeelFine is "an exploration of human emotion in six movements". Begin exploring by clicking on "Open We Feel Fine" and from there an applet (seen here on the left) will appear. Well, some maps need to be explored and imagined before one can truly appreciate them. Happy explorations! Introducing a video clip in a lesson is always a certain way to get learners' attention. Among many others, do have a look at suggestions using video in class by David Mainwood, Jamie Keddie, Vicki Hollet and Russel Stannard (to name just a few) who have created videos and lessons around videos for both teachers and language learners. Besides creating your own video or using the variety available on YouTube, there are also other options to choose from. Woopid offers free videos related to hardware and software for Mac, Windows and the internet. With so many different devices used today, it's a site which may answer tech questions when working on one's own. It's easy to navigate and includes a library for users. WatchKnow is an excellent source of educational videos, which is user-friendly to use and offers a range of subjects, from languages to mathematics. EnglishCentral (which you can also find in my ELT/EFL resources) offers learners authentic videos, vocabulary practice as well as pronunciation practice. There's a wide range of topics to choose from (for example, Business English, Travel English, Social English, Media English) and learners can also then test their progress. 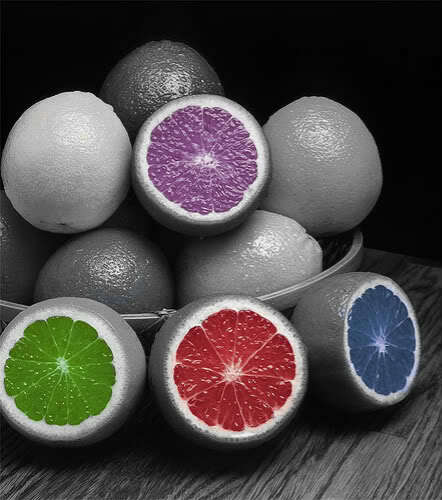 Learners can also choose their level - easy, medium or hard. 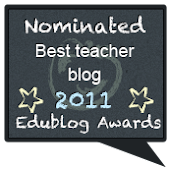 It's a great site to begin encouraging learners to develop their learner autonomy. Do you have any other free video sites which you would recommend? How much has your learning changed in recent years? Do you have experience of online training/learning? How much has Web 2.0 revolutionized your learning? Summer is a great time to catch up on writing. We are constantly bombarded by tweets, Facebook updates and other forms of media, so taking time out to gather one's thoughts and write is a soothing way to make sense of it all. Writing becomes a way of finding oneself in the jungle of social media that engulfs so many of us today. I have already mentioned Penzu - an online diary and today I'd like to point out three other writing tools which are free online. QuietWrite is a site which, after signing up and logging in, you can keep your writings. You can make your texts public or private and if you choose to make a piece of writing public, you can then receive comments and feedback from other writers. 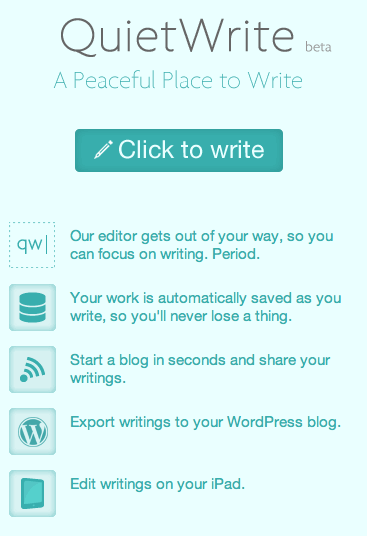 Two cool features are that you can export your writing to Wordpress as well as edit your writing on your iPad. Learners can use this tool to write stress-free and if they share their writer's name with their friends, can receive responses to their work. In this way, QuietWrite provides yet another way for possible discrete collaborations. Scriffon is another writing option. 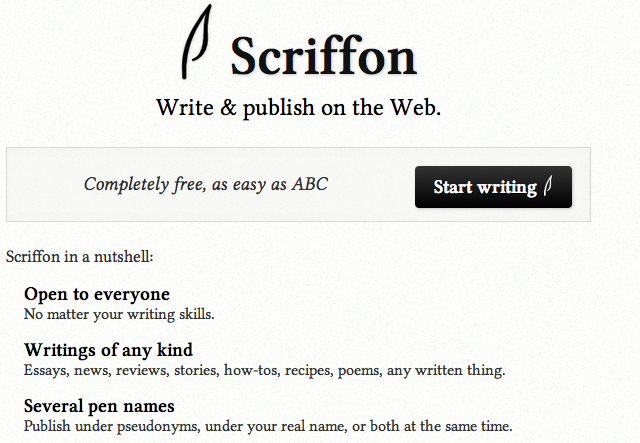 With Scriffon you can choose whether to use your name or a pseudonym, your real name or both. You can also link your Scriffon account to your Twitter account. Because I think that being a digital citizen requires a certain degree of responsibility, I would prefer that learners use their own names as this would be good practice for them to publish their writing easily online and gain confidence in sharing their work. 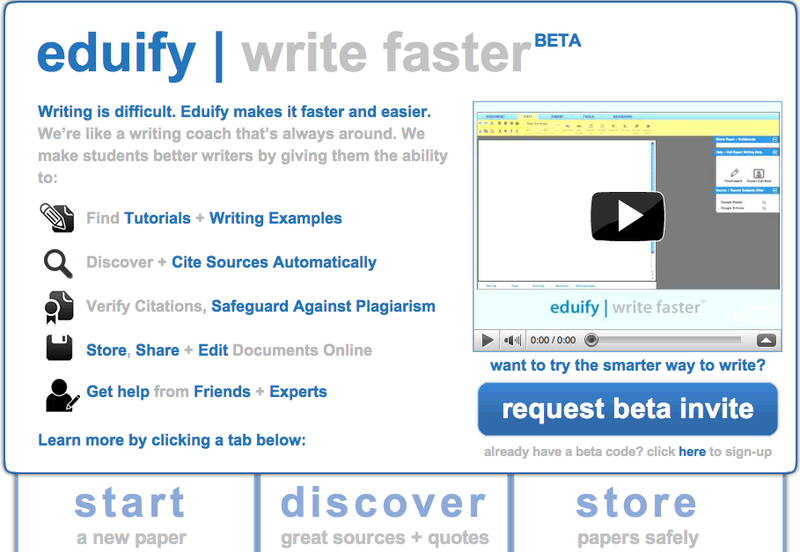 Eduify is still in beta but promises to be a very interesting writing tool. Begin by requesting a beta invite and then wait to explore what this site has to offer. What other writing tools would you add to these? How can teenagers, especially those with a talent for music, spend time over their long summers? One option is to explore NoiseTrade. NoiseTrade is a site where musicians can sign up and create their NoiseTrade widget with their music. 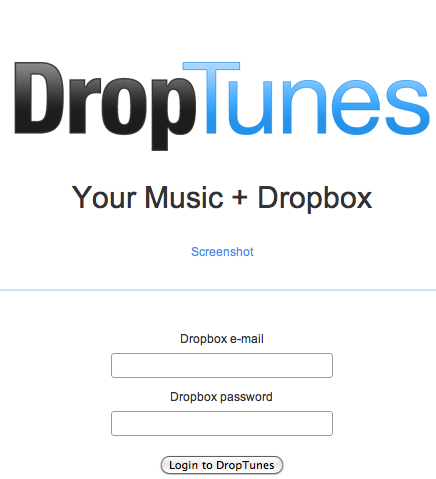 Visitors can then sample their music through their widgets and download their music. 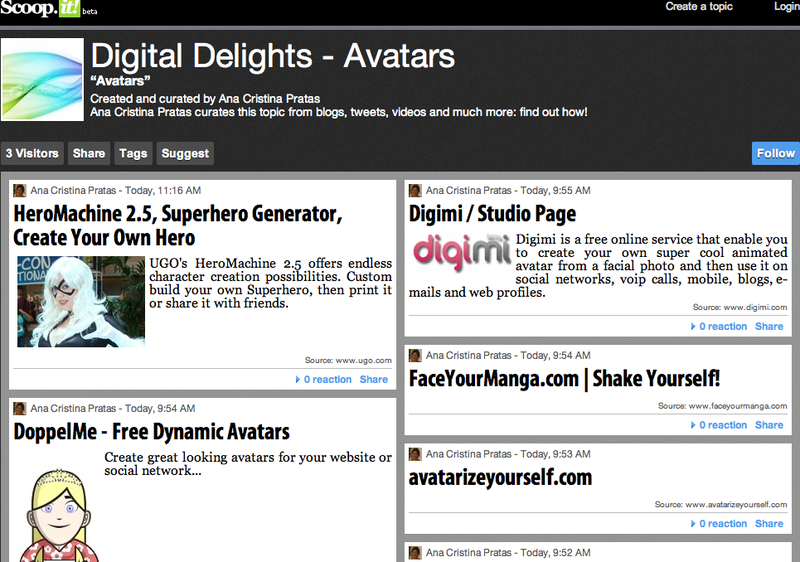 They can also embed the widget in their website or social network. Downloading is free and legal. 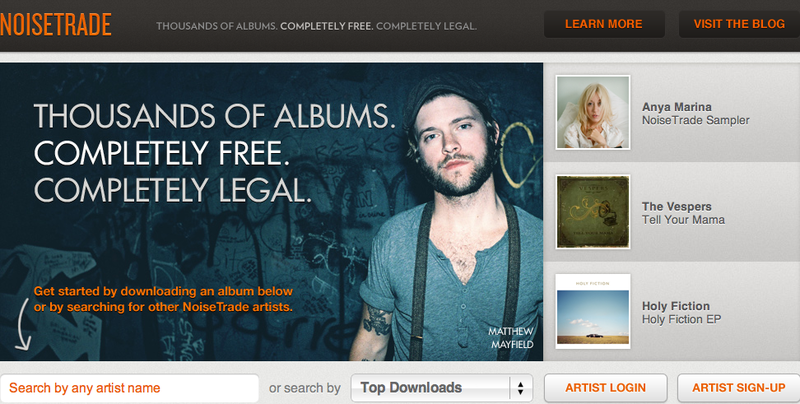 NoiseTrade is also a great place to begin exploring new musicians and musical trends. The FreeSound Project is a collaborative database of sounds. You won't find songs but there is a wealth of sounds to choose from which can be added to presentations and podcasts, for example. And now that you have a selection of music and sounds, what next? DropTunes is similar to DropBox but instead of documents, you can keep sound files which you can then easily access. Do you have any favourite sites for music and sounds that you would like to share? My favourite platform for connecting with my classes is Edmodo, which is user-friendly for both learners and teachers. Learners like the similarities with Facebook, how a teacher can help create their class library as well as keeping track of their continuous assessment grades. With Edmodo, you can even incorporate games and polls, and a teacher can keep all their links and documents ready to share at a click. What I particularly like with platforms such as Edmodo, is that neither learner nor teacher is dependent on the instution's VLE and can have access to their work at any time, from any place. And, when you first begin, all you need to do is create a group and then give the group code to learners or colleagues, who sign up on their own and join that group with the given code. Simple and clearly saves everyone time. 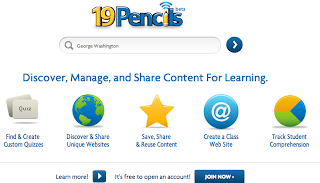 19 Pencils is another LMS platform worth looking into. 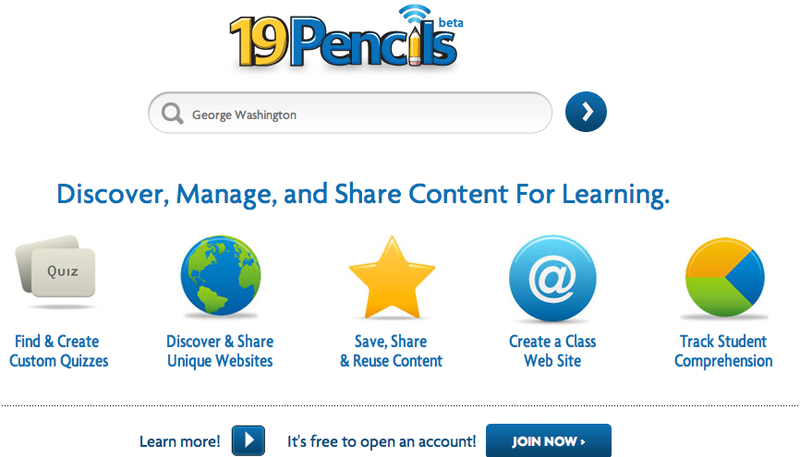 With 19 Pencils you can manage and share content with students, collect websites, share quizzes and track students' progress. Welcome to 19Pencils from 19 Pencils on Vimeo. Another choice to connect to the classroom is Bloust. 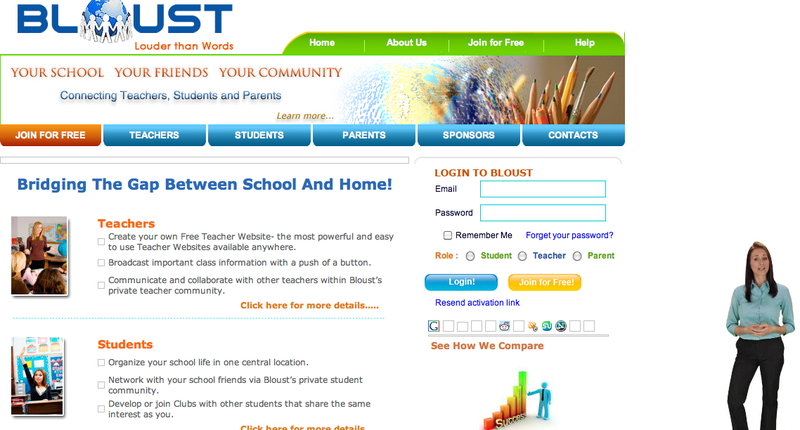 Bloust is a social network which allows teachers, students and parents to connect. It helps lesson planning, helps teachers to work together and also manages assignments and grade distribution. You need to sign up and create a profile, and then invite learners to your network. 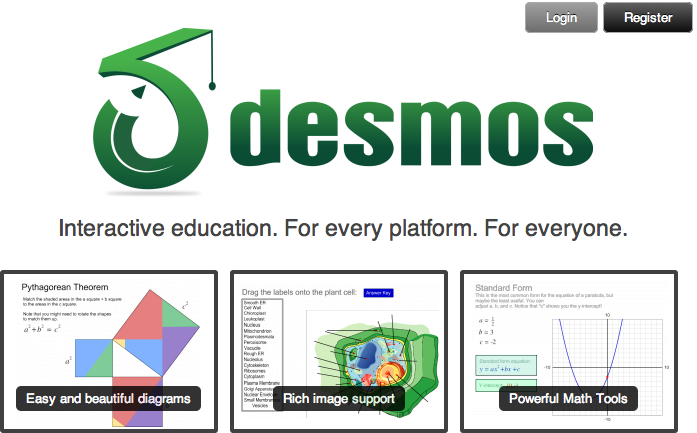 Desmos is yet another interesting platform to look into. 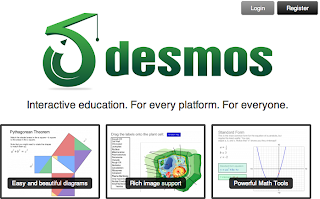 Desmos is an interactive whiteboard which uses drag and drop facilities, and which you can then share with students. The Whiteboard Blog - and shares tips and advice for Interactive Whiteboards, Promethean and SMARTboards, as well as a list of interactive whiteboard essentials. 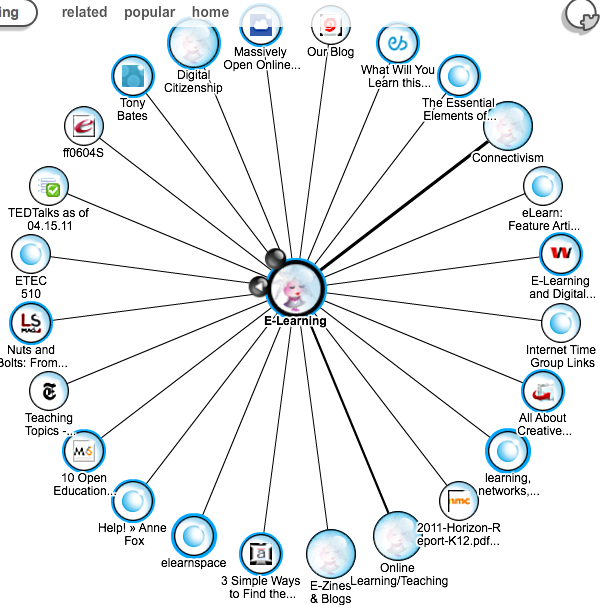 Do prefer your institution's VLE or setting up your own social network for your classes? Story telling is one of the most special learning experiences that a learner can have. Stories can be based on real life, or coloured by a lively imagination. There are so many different kinds of tools which help us create and tell stories today, such as scrapbooks and movies as well as timelines (see Smile Box, Photo Peach, Dipity and Tiki-toki, which are some tools I have already mentioned). Memolane tells stories yet in another way. memoline captures your photos, music, videos, tweets and status updates. 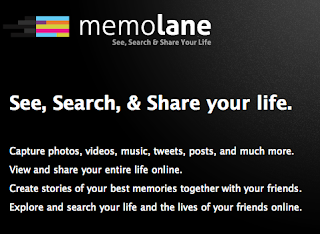 In other words, memolane is practically a " web time machine", which allows you to plug in your social media and creates a scrapbook of memories in the form of timelines. 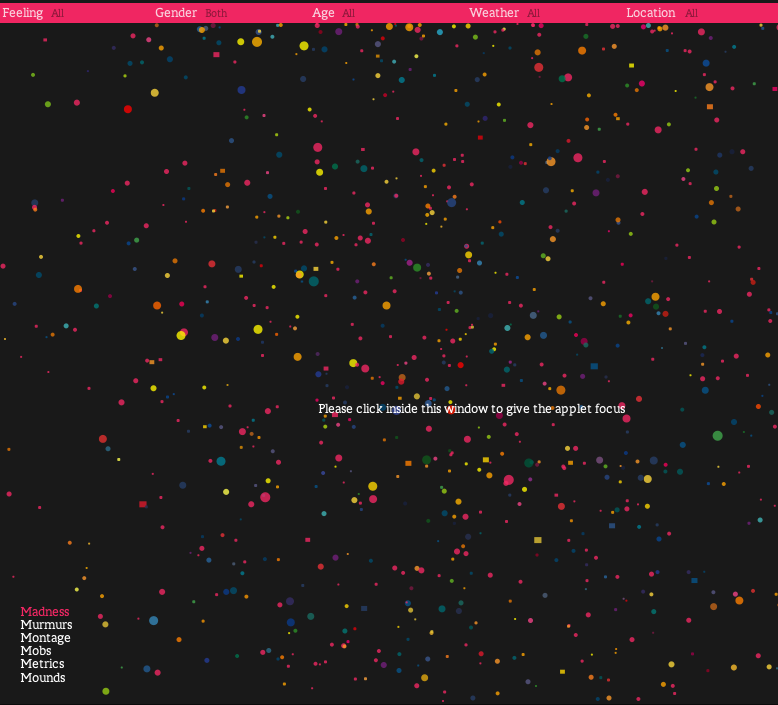 It's like the web's turn in telling our stories and visualizing them in timelines. 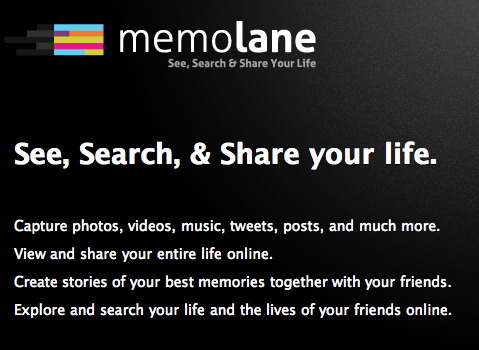 Memolane Tutorial - Creating, Editing, and Viewing Stories from Memolane on Vimeo. What about you? Do you have a favourite tool to create digital stories?